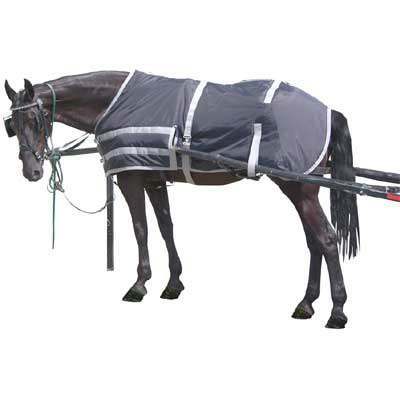 Not only are these Horse Sheets made of high quality material they will also provide maximum comfort for your horse. The Wagon Master is designed for the resting hitched horse. It is composed of a 600 Denier exterior with a 360 gram fiberfill complimented by a satin lining. Designed to accommodate shafts of the wagon with nylon straps to keep those shafts in place. They have been designed to be one of the most durable Wagon Master Sheets available worldwide. An additional buckle release system for fast release exists on front side. A 2'' belly band surcingle keeps the strap in place. Black with Grey Trim.